Being an air force brat I was able to live and travel to many fascinating places, including the beautiful Germany. Lately, I have been craving the German food! I scoured for the most authentic but yet simple Jaegar Schnitzel recipe and found this one on tablespoon.com. Sooo good! Enjoy a taste of Germany! 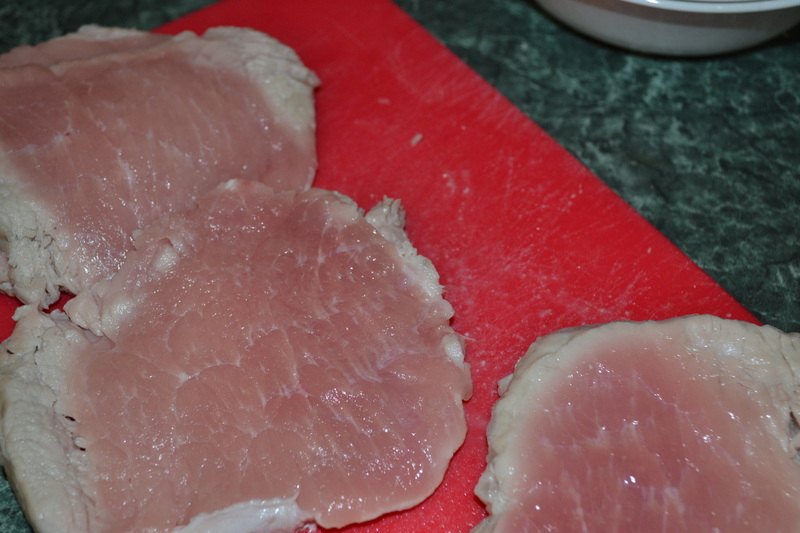 First flatten your pork chops. 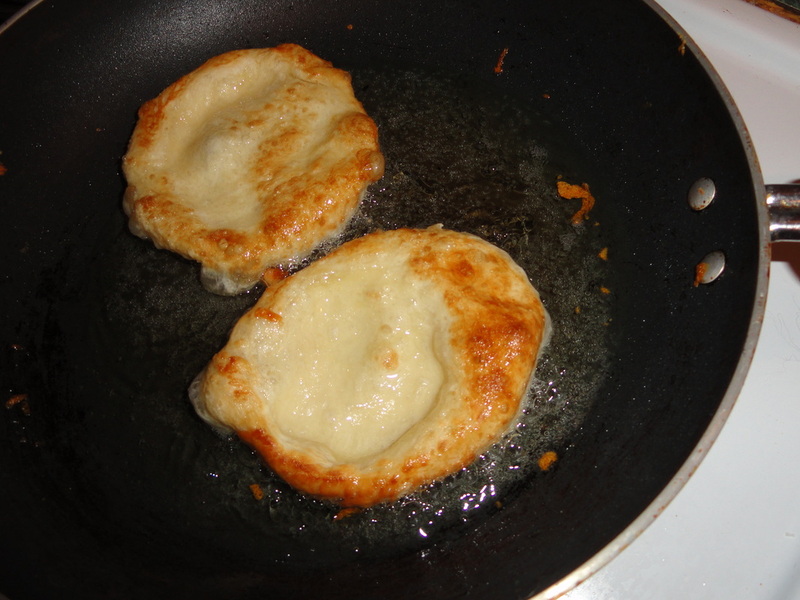 You will need to fry them so it is important that they aren't too thick. Go for about 1/4 inch if you can. 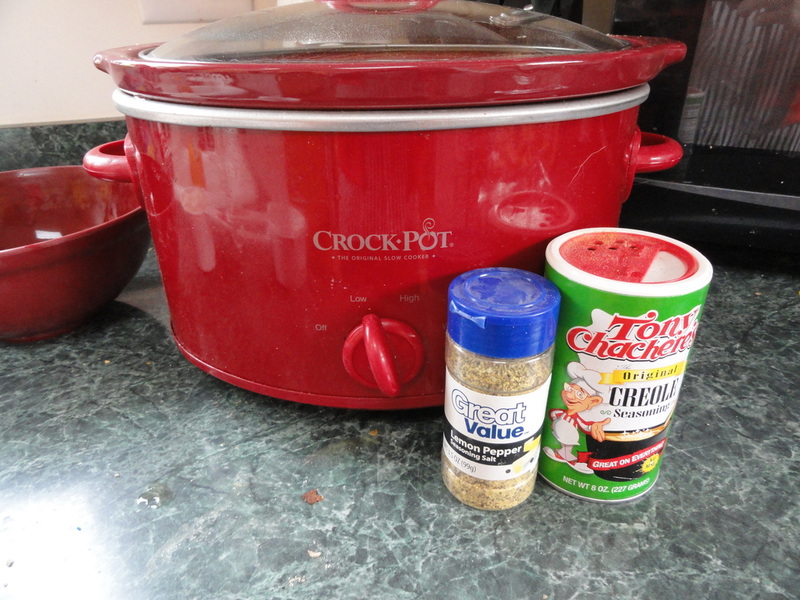 Set your pork chops aside, its time to start on your yummy sauce! Heat up some oil and toss in your mushrooms. You want to cook them until you have cooked out most of the juices. 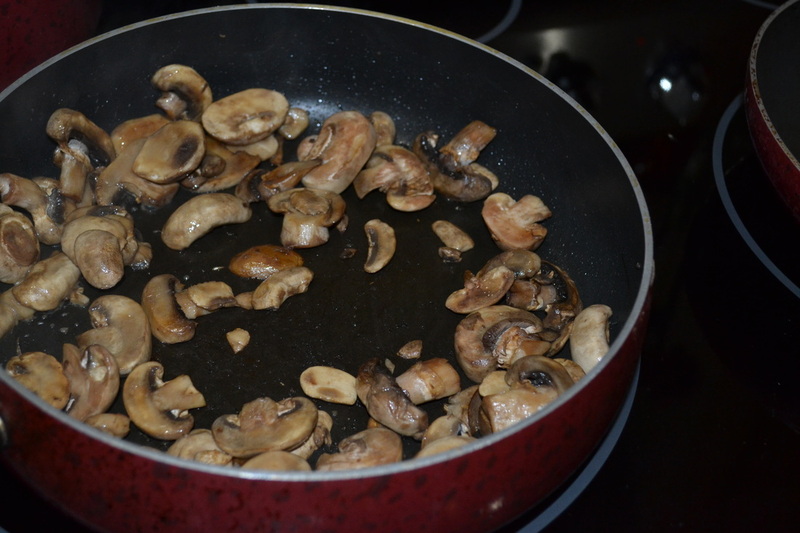 Once your mushrooms are done remove them from your pan and set them aside. In your same pan melt your butter and flour. Whisk until its mixed nice and good. Keep stirring until your mixture is golden brown. 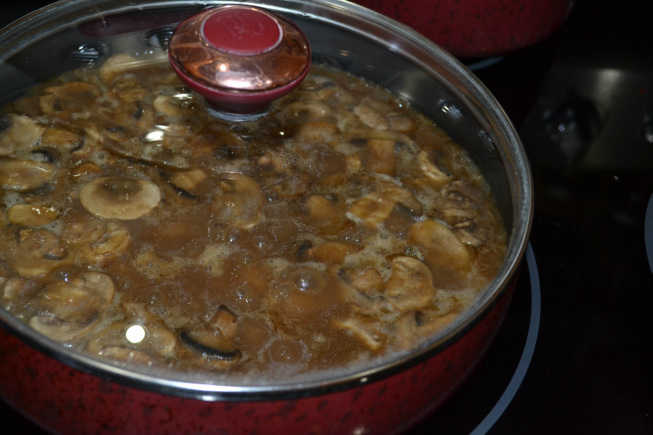 And then you can add your mushrooms back to your brewing your sauce. Once everything is mixed together bring your sauce to a simmer, lower the heat and cover for about 15 minutes to allow it to thicken. 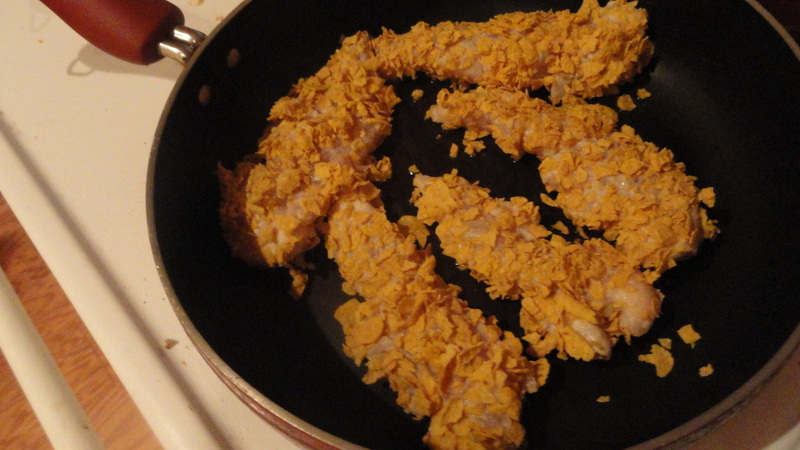 Prepare a pan with oil heated for frying. You want to make sure that once your meat is ready you can throw them right in. 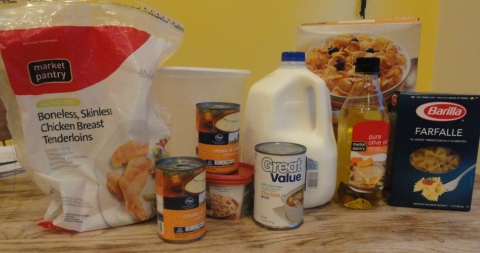 Also, you need to prepare your dipping dishes; flour, egg, and breadcrumbs. Then in the pan they go! Fry each side for about 2-3 mintues. Make sure they are golden brown, you don't want to burn these babies. 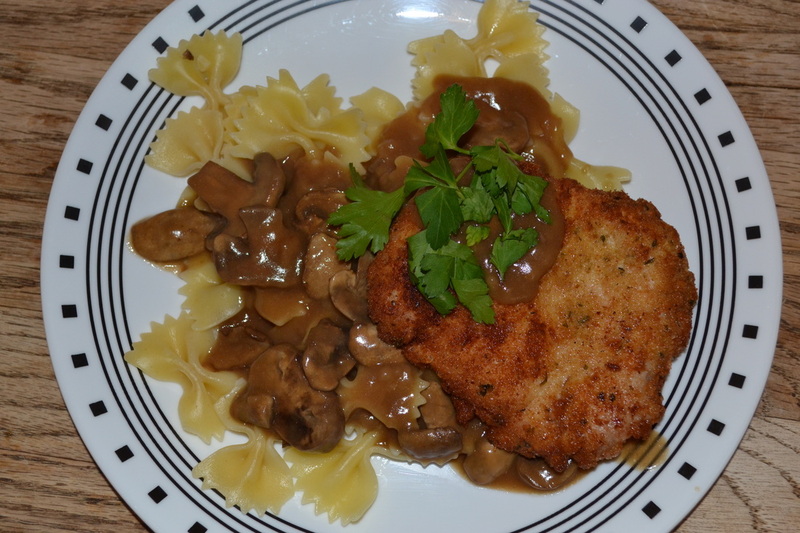 Now traditionally they are Jaeger Schnitzel is served over spaetzla noodles but I couldn't find any. We used bowtie noodles which worked out perfect! I found this recipe on Jamie Cooks It Up. SOooo good. The sauce is so rich and creamy! BUT you can start your chicken while you wait for your water to heat. 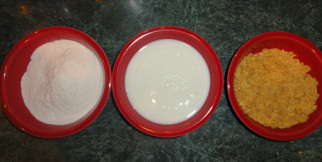 Separate your flour, milk and crushed cornflakes into three separate bowls. 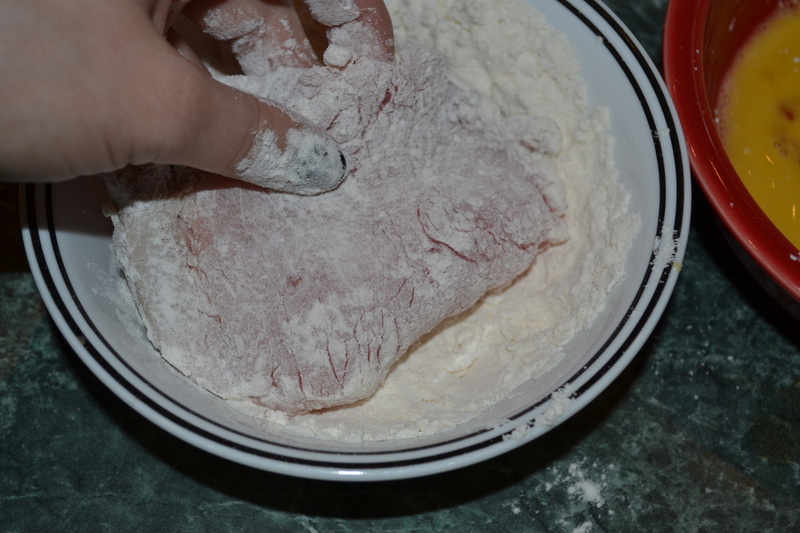 You want to defrost your chicken and then start at your first bowl with the flour in it. 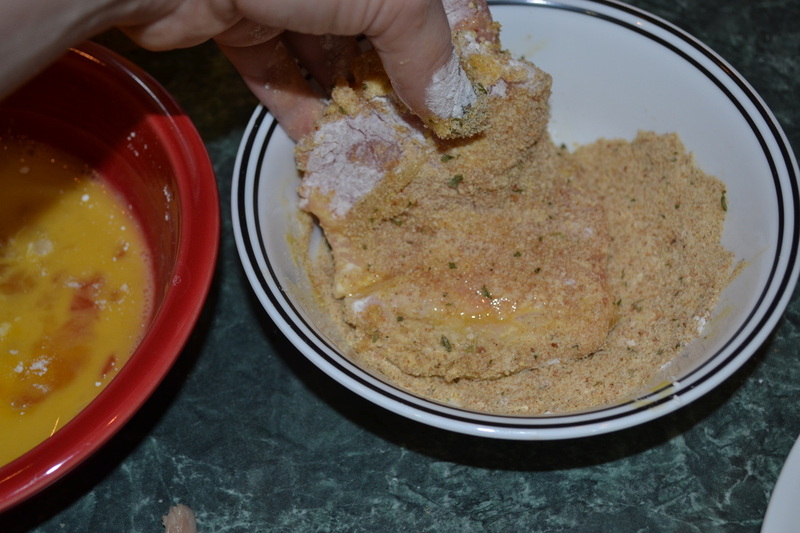 Dip your chicken in the flour and coat both sides. 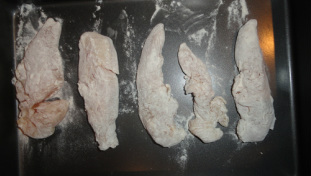 Lay out your flour coated chicken on a baking sheet and place in your freezer for about five minutes. While your waiting heat up your oil in a large frying pan. When you get your chicken out of the freezer and go to your next bowl, the milk. 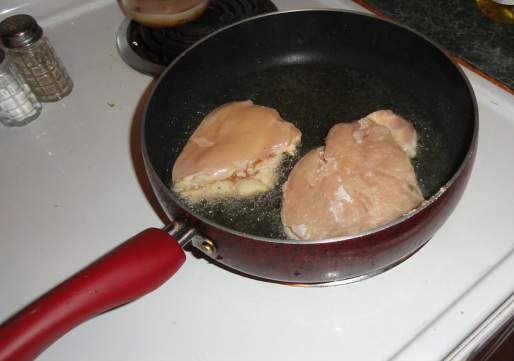 Throw your chicken onto your frying pan on the hot oil. Brown your chicken, about 3-5 minutes on each side. Lower the heat and cover the chicken to make sure the chicken was cooked throughly. This should take 7-10 minutes. Remove your chicken and set aside. Make sure you cover them in foil to keep warm. Make sure you are also checking your noodles to keep them from going too soft. 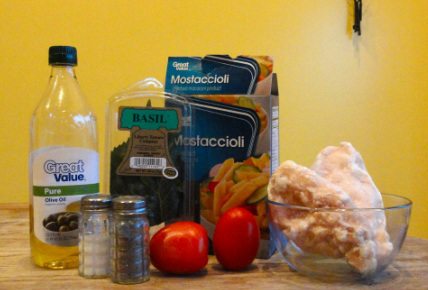 Stir everything together, serve over your pasta with your sliced chicken on top. 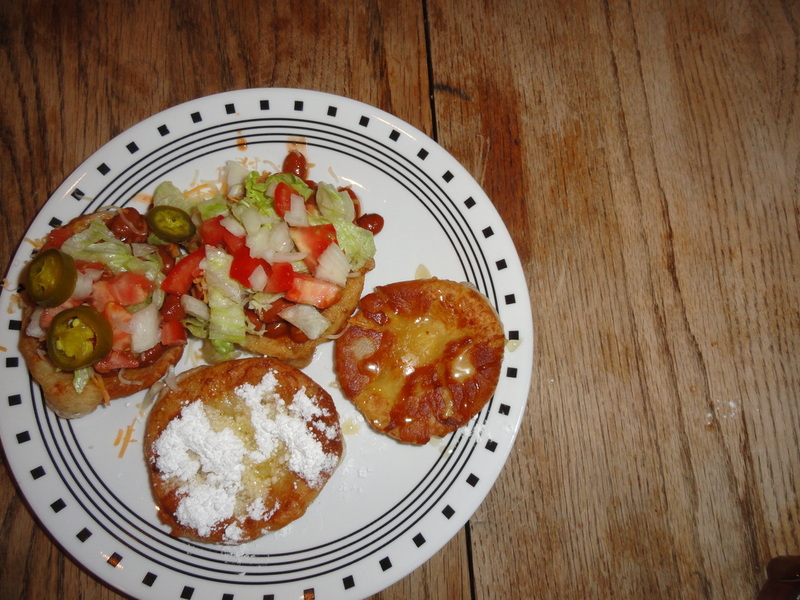 This is a meal I picked up while living in the south. 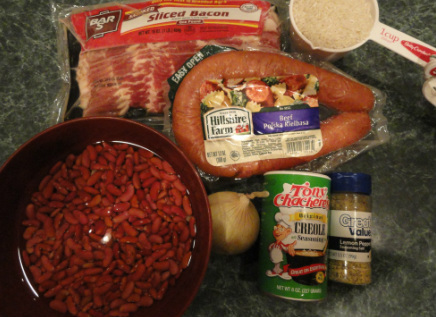 Red beans & rice is a Cajun meal that is very simple yet rich. Its one fof my personal favorites. This is one of these recipes that requires some night before preparation. Grab your beans and soak them in a bowl the night before. 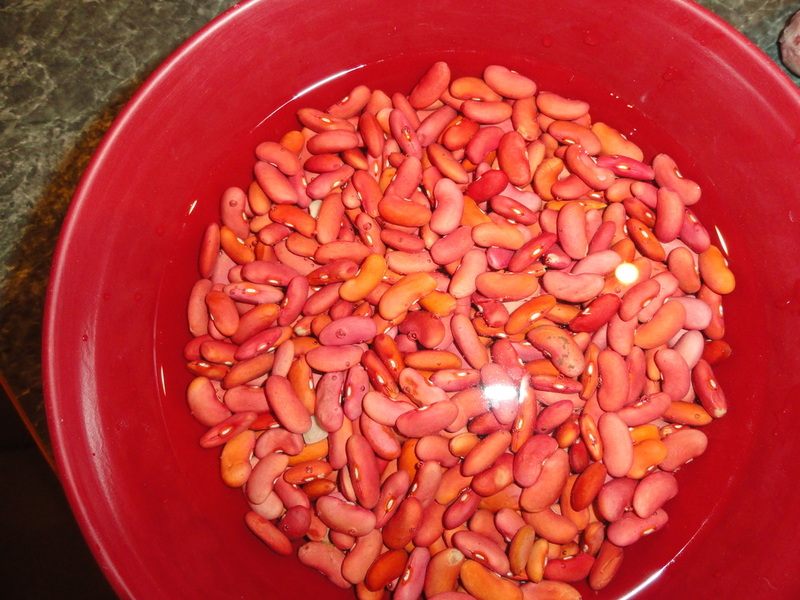 You want enough water so that the beans are completely submerged. 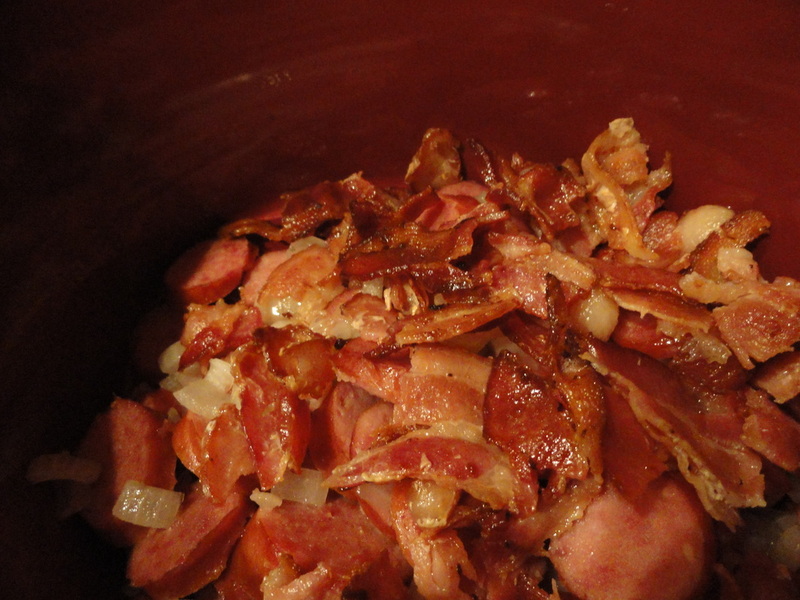 In the morning you want to drain the excess water and put the beans in your crock pot. 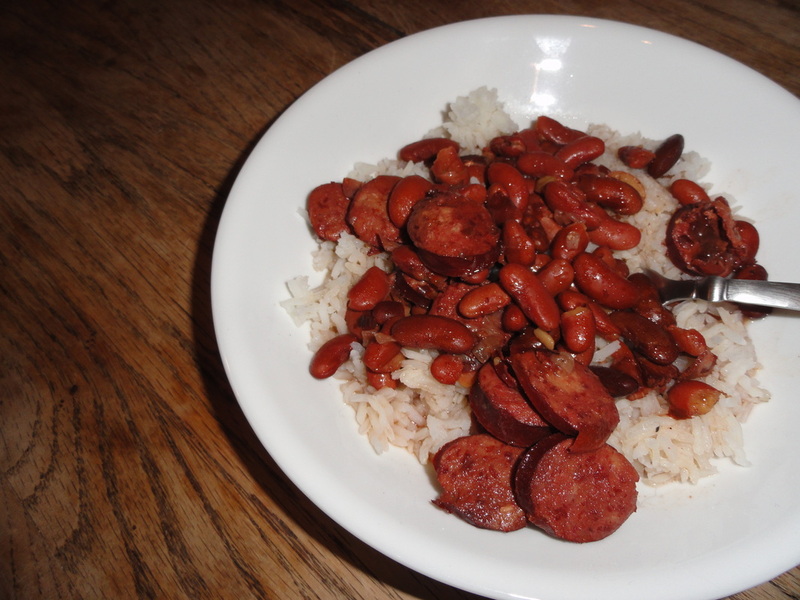 Also you want to make sure you prepare your rice ab0ut 45 minutes to an hour before your red beans are ready. 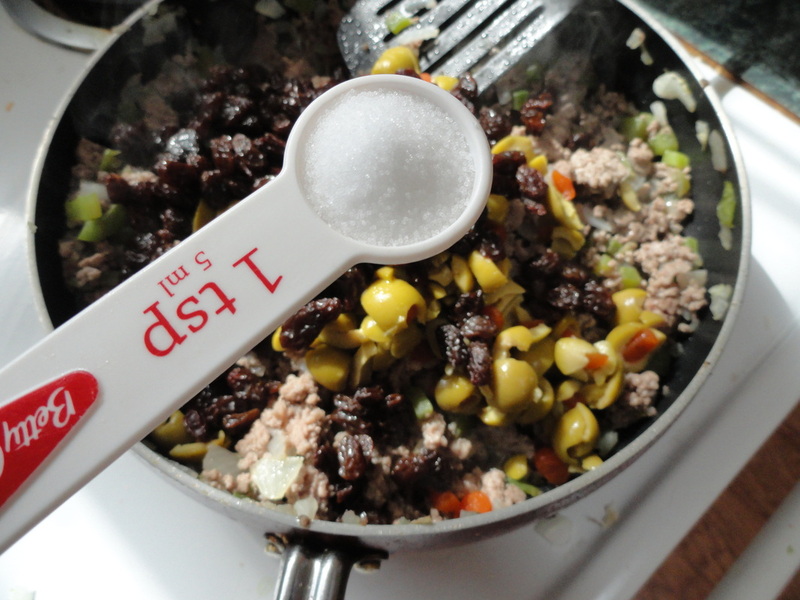 Serve the bean mixture over your rice and enjoy! I am addicted to Empanadas. I had a friend that was able to make them sooo good. 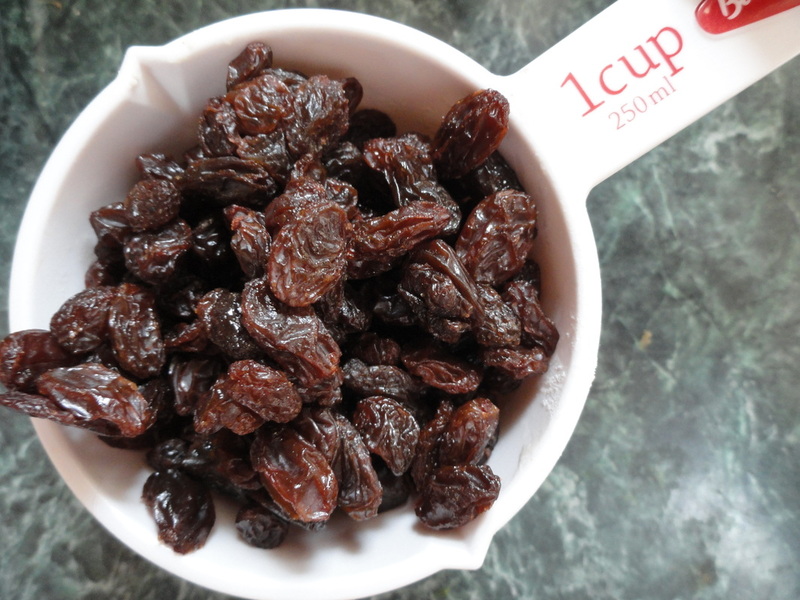 Lately I have been crazing them so I found this recipe to make myself. The only thing I would do differently would be to make less of the filling...I had about half of it left over after using ALL of the dough. *I cheated and used the salted butter we already had but left out the teaspoon of salt. **you also want to make sure your butter and cream cheese is at room temperature. but I don't use Cumin in anything. The recipe was still great! 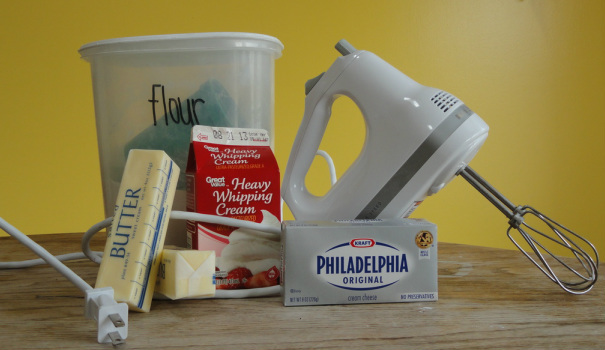 Start by throwing your cream cheese, butter and cream in an electric mixer or a bowl for a electric hand mixer. Mix it up on a low setting so your cream doesn't fly out everywhere! 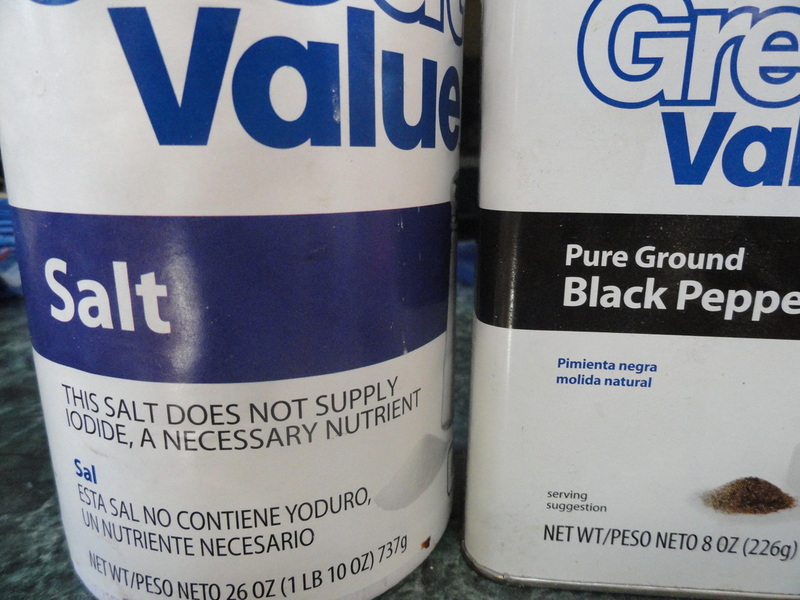 Then keep your mixer on a low setting while you slowly add your salt and flour. Mix that up really good. Divide the dough into three chucks. 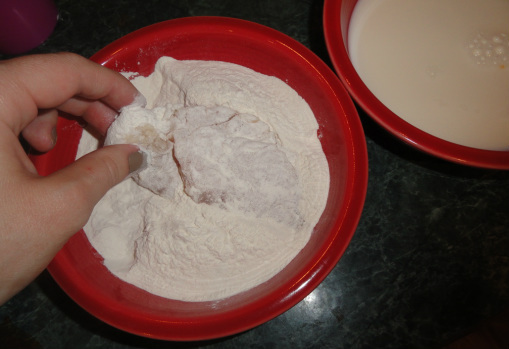 One at a time lay of a floured surface and flatten into disks, don't completely roll out. Wrap the three disks separately in plastic wrap and throw in the fridge to cool for 30 minutes. 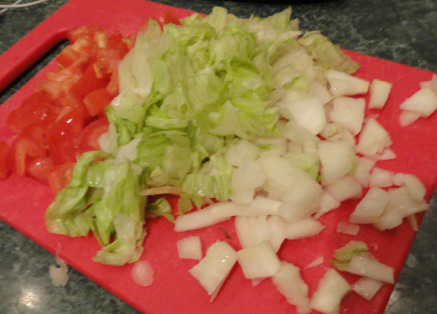 Saute your onion and green peppers until soft. Next throw in your hamburger and cook until browned. If there is any excess liquid scoop it out now. Add you olives, raisins, honey, salt, pepper and hot sauce. 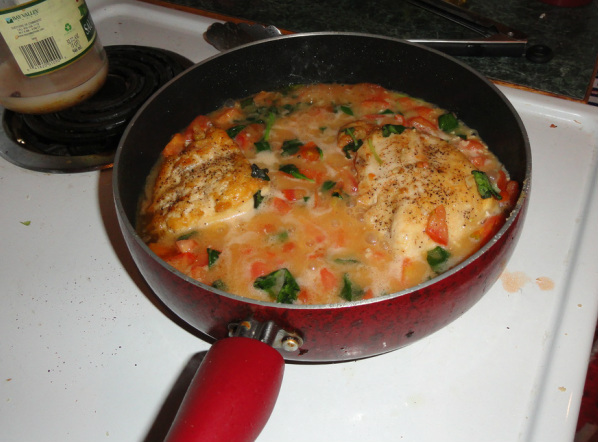 Cook until flavors are blended together and liquid evaporated. You can just hang out for a bit while your mixture and dough finishes settling. When you about ready to pull out your mixture separate out your eggs. Keep your three eggs whites in one bowl and 2 egg yokes in another (Yes, only 2 of the eggs yokes is needed). Mix your egg whites into your cooled mixture. Bring out your dough when cooled and roll out on a floured surface. You want to roll it thin but not transparent. 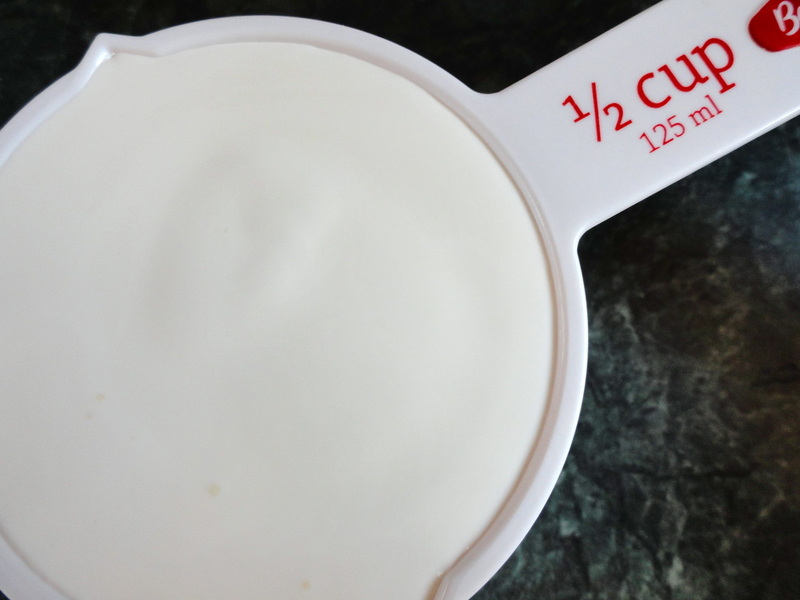 Cut it into circles with a bowl turned upside down (using rim). The recipe suggested a four inch diameter, mine was a bit bigger. Put some filling on half of your circle. Fill it well but you want to make sure you can still close it. To close wet the rim of your circle on the side with your meat [above] with your finger and a bowl of water. 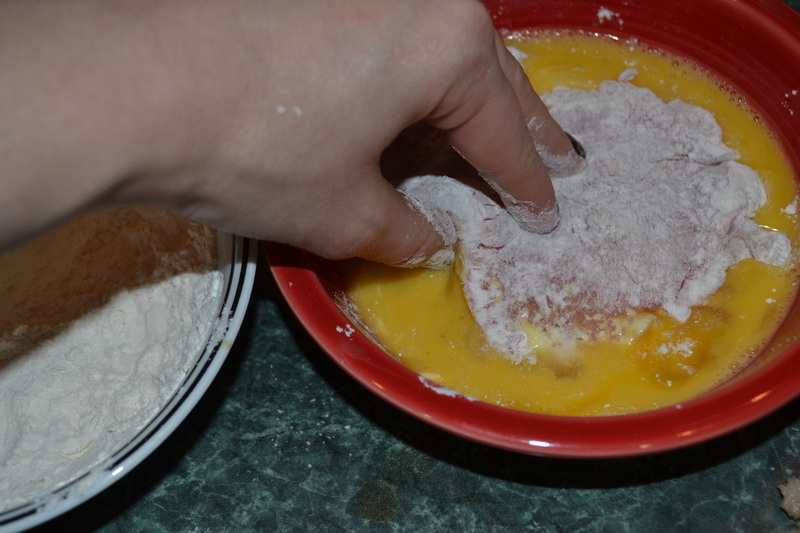 Fold over your dough on to your filling creating a semi-circle. Press the edges shut with a fork and cover with egg wash made from your 2 egg yokes and 2 tblpn of water. Continue until you have used all of your dough. Bake your Empanadas for about 20 minutes, or until golden brown. You will probably have to do at least two batches. Cut some lime wedges to go with and serve! This is a recent try from pinterest. 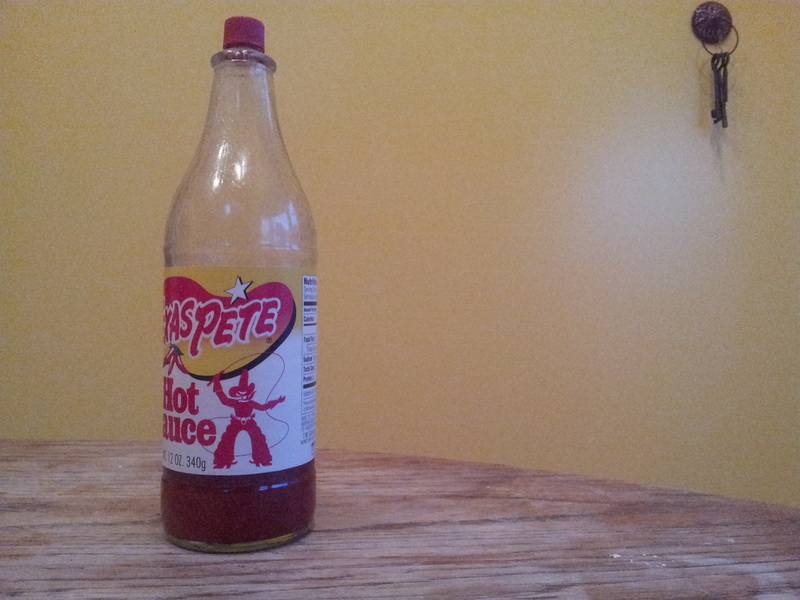 I got the original recipe here. Jake loved it! He went back for seconds so I know he wasn't just being nice. In his words, "It's like a better Mac & Cheese." So yummy, cheesy and easy! 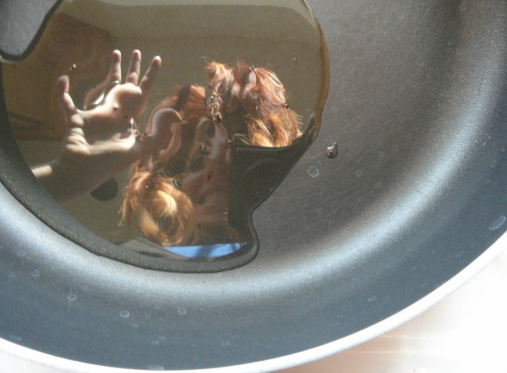 Start by heating your oil olive in your pan; I couldn't help but smile and wave for the camera in the refection he he. ...and your onions. Let them brown for about 4-5 minutes. 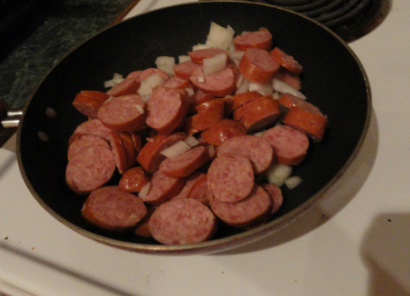 Toss in your garlic and let it meld with your onions and sausage for just a bit (recipe says 30 seconds). Next add in the chicken broth, tomatoes, cream, pasta, salt & pepper. Stir to mix together. 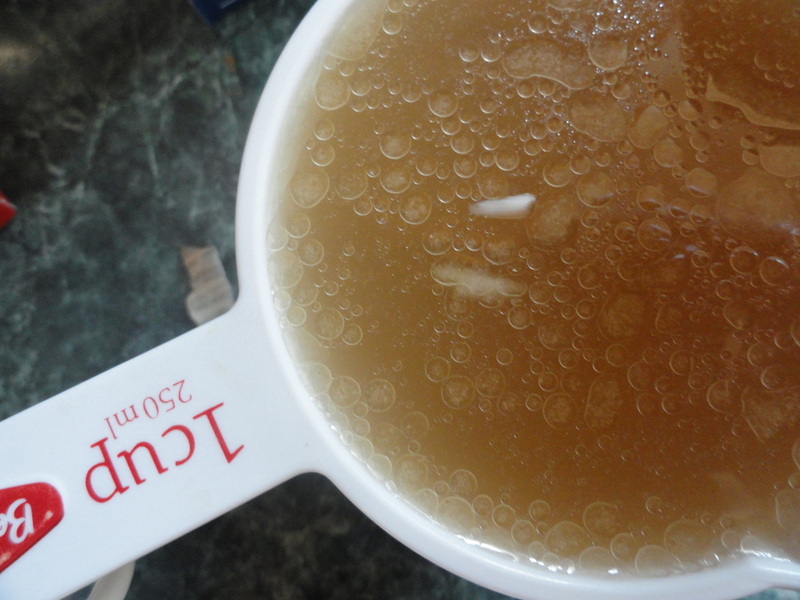 Bring you pan to a boil, the reduce your heat to low and cover. 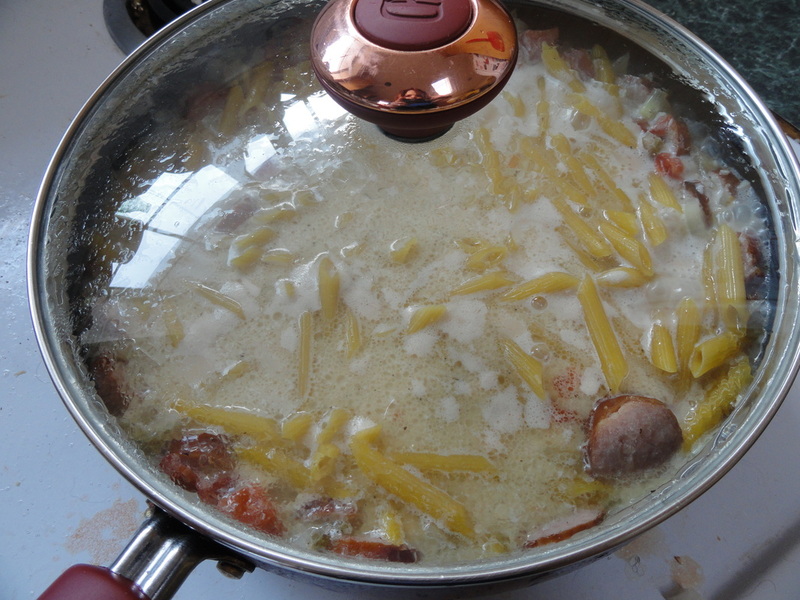 Let everything simmer for about 15 minutes or until your pasta is done. 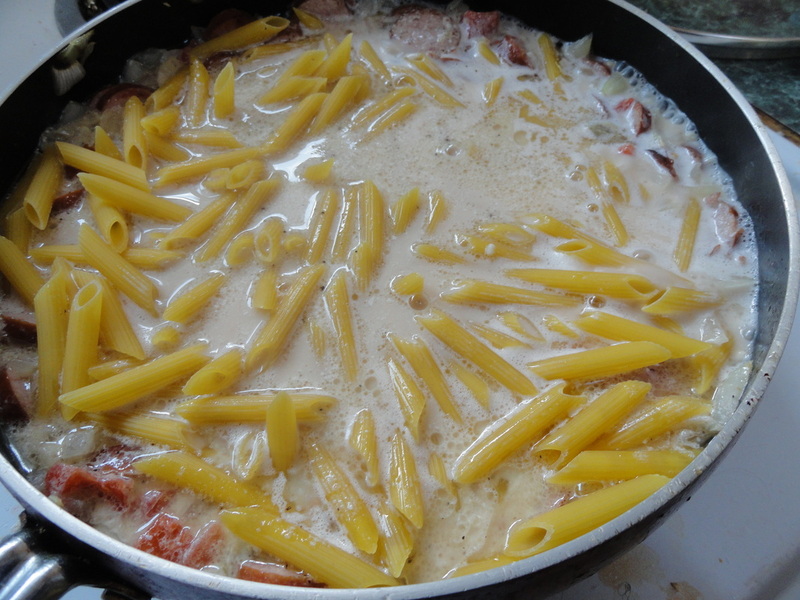 Once your pasta is done add half of your cheese and stir. The remaining cheese throw on top as well as your scallions. 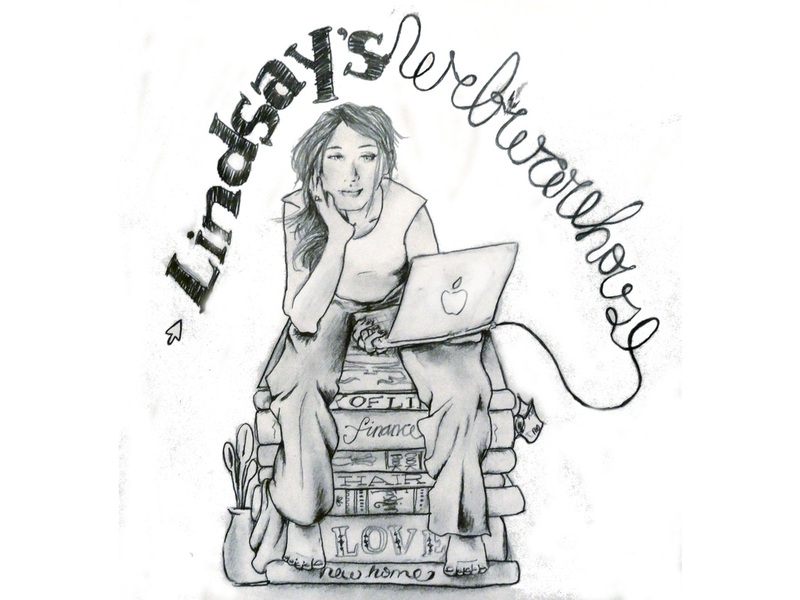 I am so in love with this right now! 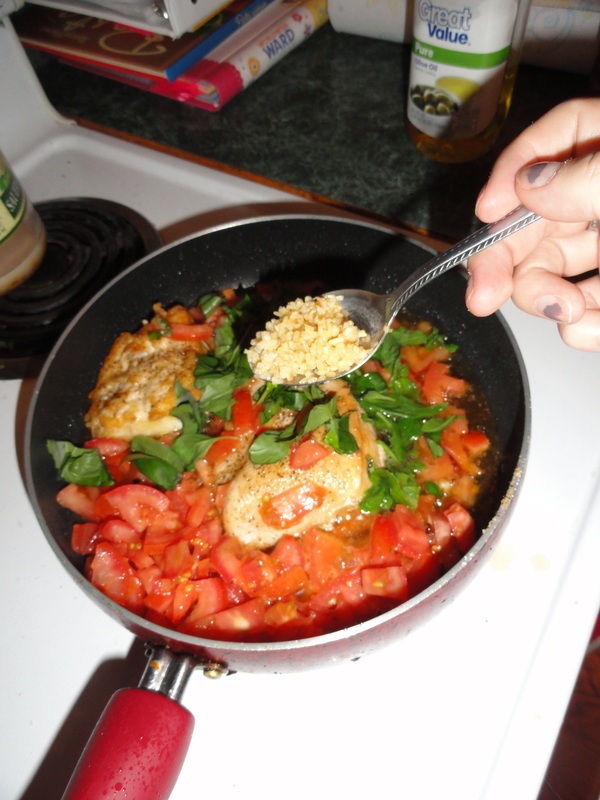 I tried this Tomato Basil Chicken last night for the first time. Sooo good. I had it for left overs for lunch today. Just. as. good. Start by defrosting your chicken and starting your water for your pasta. 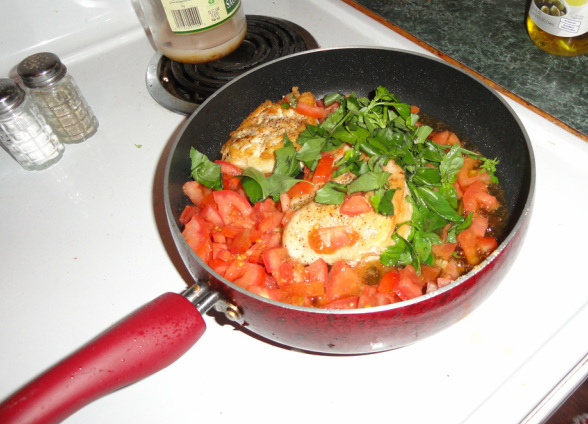 While your chicken is defrosting you can also chop your tomatoes and basil. You will also want to heat your oil, you need it hot! I put mine to medium heat. The water for your noodles is hopefully boiling by this point. Go ahead and toss in your noodles to get them going. Once you meat is thawed out beat it. I did just say beat your meat. This is the time to let out some pent up frustration. Plus, its pretty fun, not going to lie. I used a rolling pin because I'm not fancy enough to have a mallet. You don't want them to break apart just get them thinner so they are easier to cook. Add some salt and pepper on you chicken and then toss them in the the pan. Watch out! You don't want to be splashed by hot oil. I used tongs to avoid getting hit. Next you will want to add your tomatoes, again be careful of flying oils! Next add your fresh basil. It smells so good! 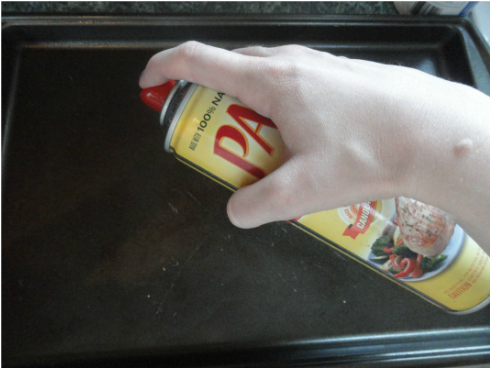 Then give your pan a good stir. 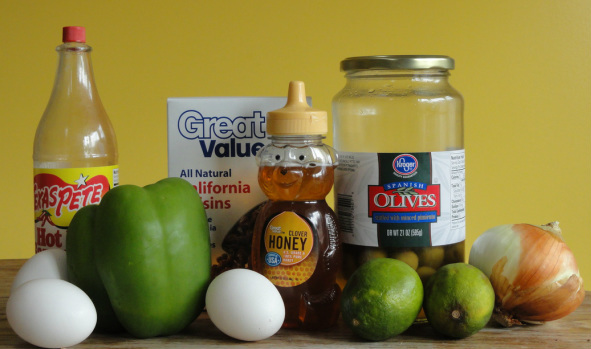 You want all your yummy ingredients to meld together. Let your sauce heat through and simmer for a minute. 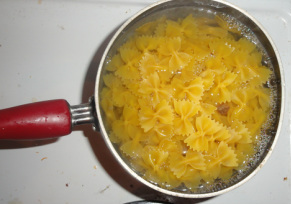 Your noodles should about ready; once the noodles are done to your liking drain them. 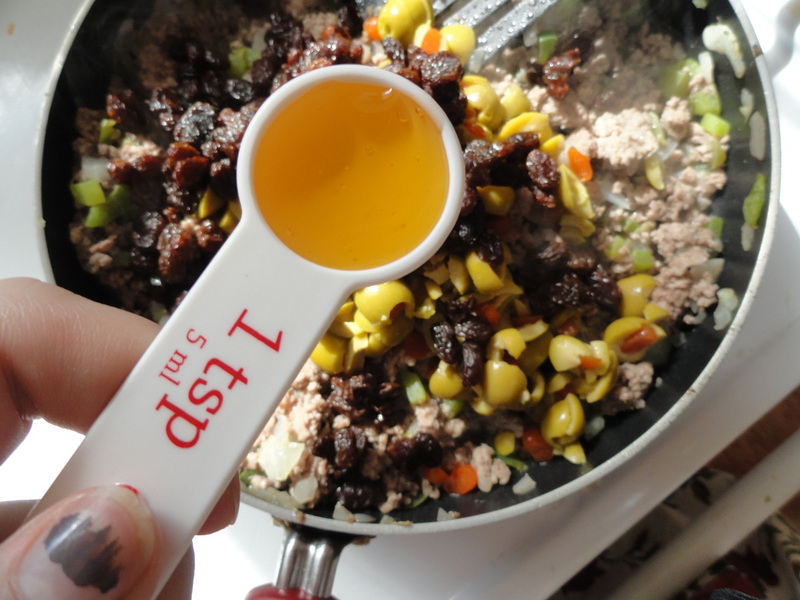 Serve your sauce over your noodles in individual bowls. 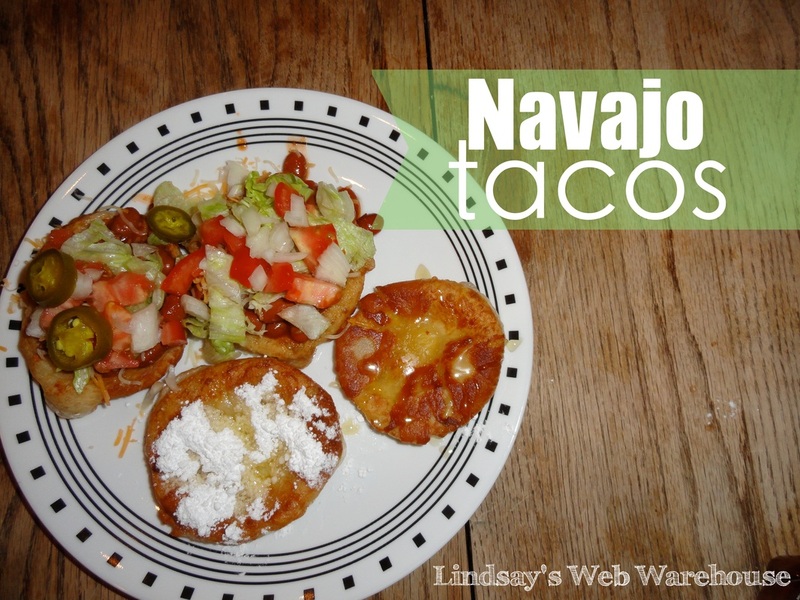 I've shared some of Jake's favorite recipes so I thought it only fair if I shared one of mine; I love Navajo Tacos. They are easy, taste divine AND they can be a dinner and dessert in one! What is not perfect about that?! and whatever else tickles your fancy to your grocery list. Start by taking out your dough and laying your rolls out on a baking sheet. The dough needs to rise. if you are lazy like me you can force your dough to rise sooner. You do this by turning your oven to the 100 oF or less and pop in your rolls with pot of water on the rack below them. Once the dough is done start stretching it. You want to make them into flatter "plate-like" circles. How is that for a confusing description? You can check out my picture below! While you are stretching your dough, heat up your oil; I put mine on medium heat. I test to make sure it is hot enough by taking a small piece of dough and tossing it in. If it starts bubbling and browning the oil is hot enough. 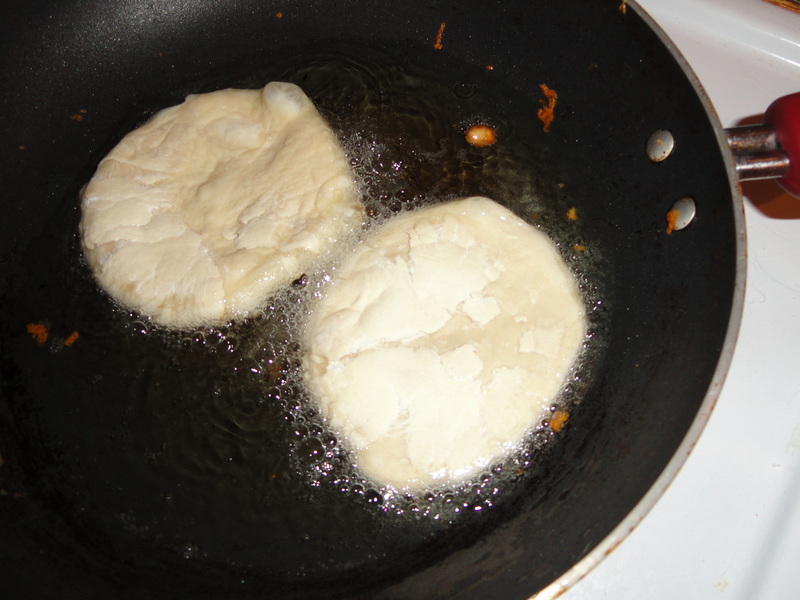 Take your flattened dough and throw a couple onto your heated oil, I usually do two at a time so I don't burn them. No one likes burned scones! The scones will cook quickly so make sure you watch carefully. Mine usually cook in a minute or so. You also want to make sure you flip them and cook both sides. You can see my cooked scones in the above right photo. Pile on your goodies and enjoy!!! 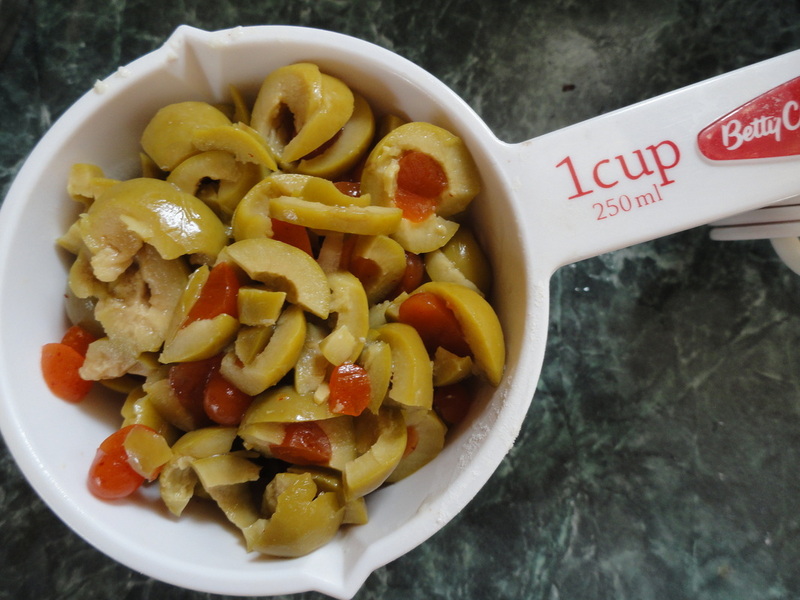 Alright alright so this one doesn't actually have a particular recipe either, mostly because it is so simple. I make variations of this all the time. Enjoy! Start by cooking your rice, I usually make about 1 1/2 C for Jake and I; I usually have enough left overs to make 4 complete servings. Throw your meat in your pan and let it cook. Add you veggies and let them saute' in your meat juices. 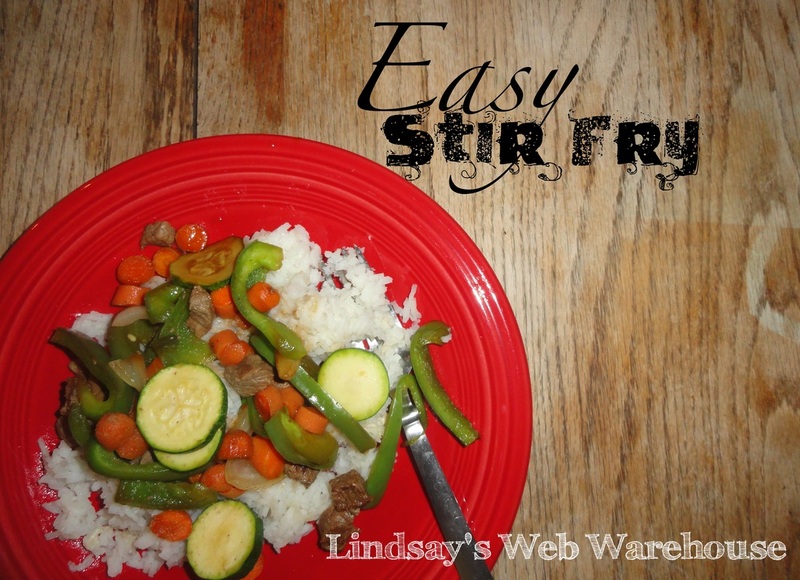 Throw in your Soy Sauce and serve over rice. 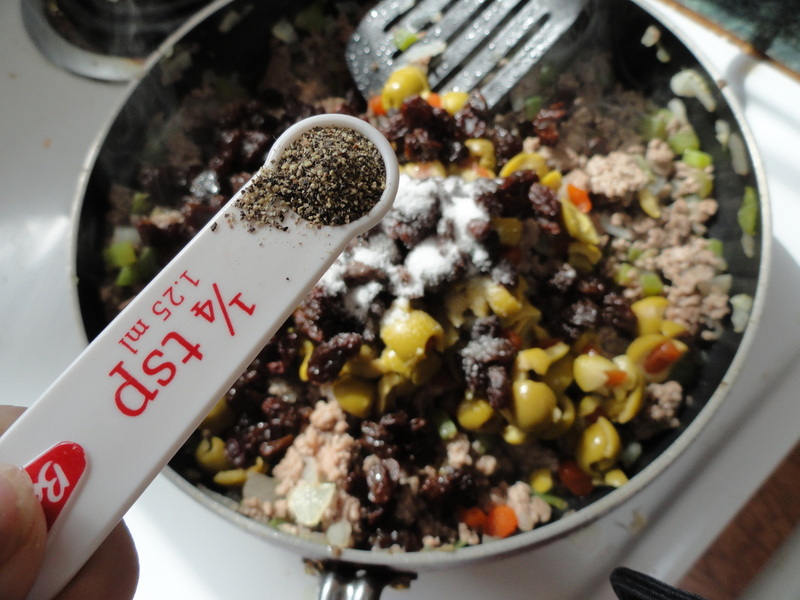 Sometimes if I have a package stir fry mix I throw that in too. The packets are good if you want more of a sauce; the soy sauce just adds flavor not a thickness. 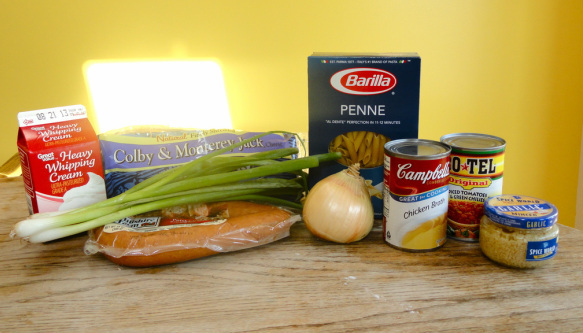 I found this recipe after and outing with Jake to Olive Garden, he loves Olive Garden. 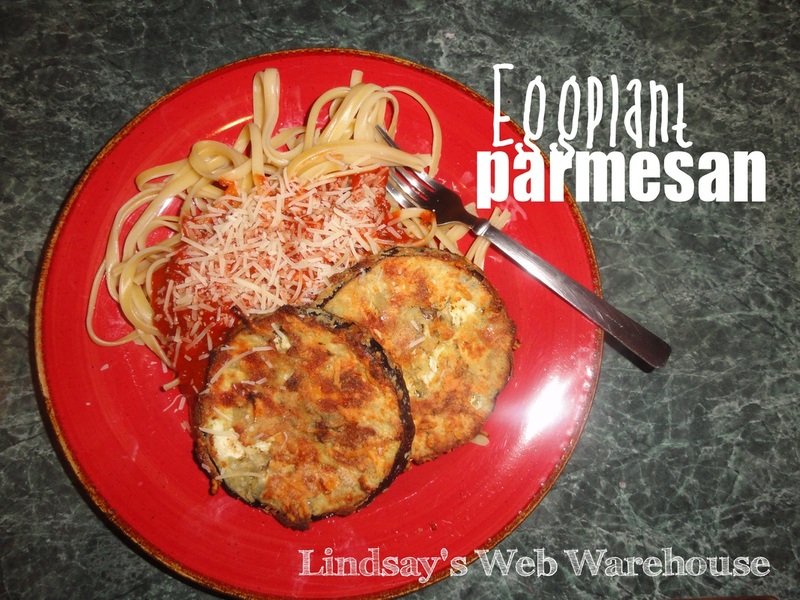 He had decided to try their eggplant parmeasan just for somthing new and fell in love. Natrually, being a newly wed (this was our first year) I wanted to impress him by making some for him. I googled and it has been so long that I don't remember my source. But it is Mmm-mmm good! Next crack your eggs in a mixing bowl and whisk! ...and then in your flour, breadcrumb & cheese mixture. Make sure you cover both sides! 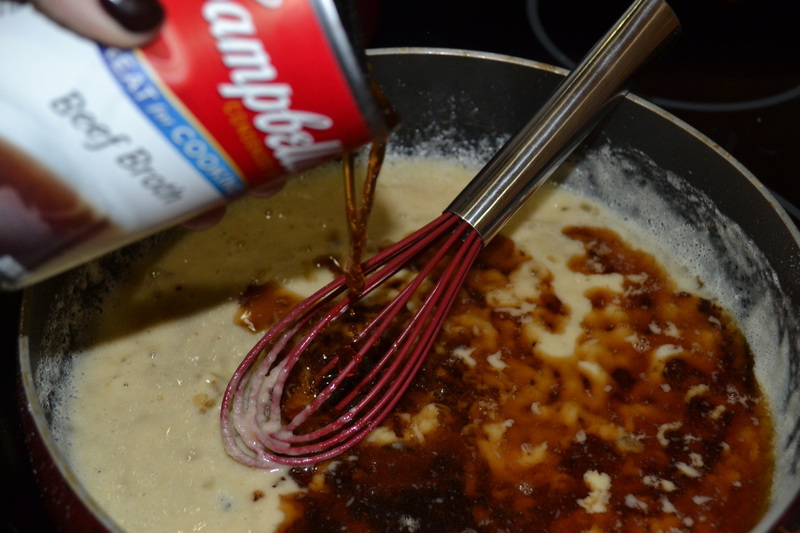 The recipe says you should spray the tops with Pam, but I'm not much of a excess Pam fan. I pat on olive oil to cover the dry tops. After you ten minutes pull your sheet out and flip your slices over. Cook the other side for another ten minutes. While your other sides cook heat up your sauce. 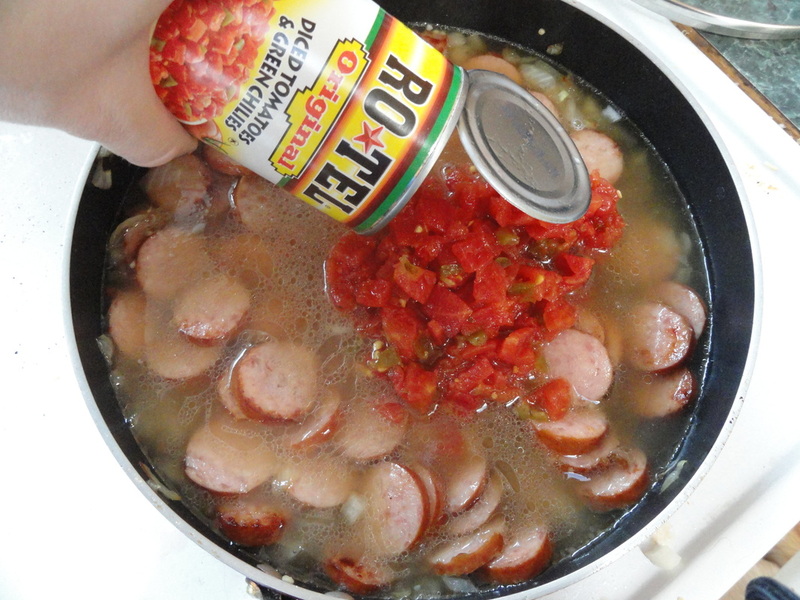 *You can also make your own with 1 can Tomato paste, 1 can Tomato sauce, cooked hamburger, garlic and italian seasoning. Compile your plate and chow down! I got this from my mother-in-law Corina when I went over for a Father's day BBQ today. It was just too cute so I had to take a picture...and guess what?! It was tasty too. Start with your brownie and then layer your mint chip ice cream scoop, fudge drizzle and spiral of whipping cream! I'm gonna just lay it out. I love food. I'll post some of my favorite recipes here that I pick up along the way. YUM!